Cyber Capital Invest in a blockchain technology project that is designed to become the premier cryptocurrency investment fund platform. In this platform, professional crypto traders will be able to make profit by investing in various digital currencies listed on the platform. However, unlike other exchange platforms, you will have an expert on your side guiding you on how to invest thereby minimizing the risk of making losses. One of the main objectives of Cyber Capital Invest is to provide a platform that will help people who are interested in trading in cryptocurrency but don’t have the skills and experience required to do it correctly and make a profit. As mentioned earlier, most of the exchange platforms today offer no help to new traders and this in turn exposes them to the risk of making wrong investment decisions. Cyber Capital Invest is also ideal for skilled traders who are conversant with the industry but don’t have a large asset portfolio. The team will carefully evaluate all the traders in this category to determine those who qualify for this project. Concisely, Cyber Capital Invest (CCI) is a profit share token that will give users an opportunity to make profits on a weekly basis from their trading capital. Note that this capital will continue to grow/increase as you become conversant with the platform and trade more using cryptocurrencies. Reserve trading capital will act like the primary financial guarantor for this project. It will ensure that token holders continue to get profits. More importantly, it will underwrite every customer’s insurance policy. Cyber Capital Invest team has agreed to offer comprehensive insurance cover to all users investments and their expected profits. This will be made possible by the reserve capital scheme that has already being put in place. Flexibility is the key to success of any blockchain technology based platform. The developers of Cyber Capital Invest understand this fact too well as evident from the platforms flexible features. For instance, once you join you will be able to come up with an investment plan that is in line with your goals and objectives. It is also important to note that the interest rate will vary from time to time based on your deposit and investment period. 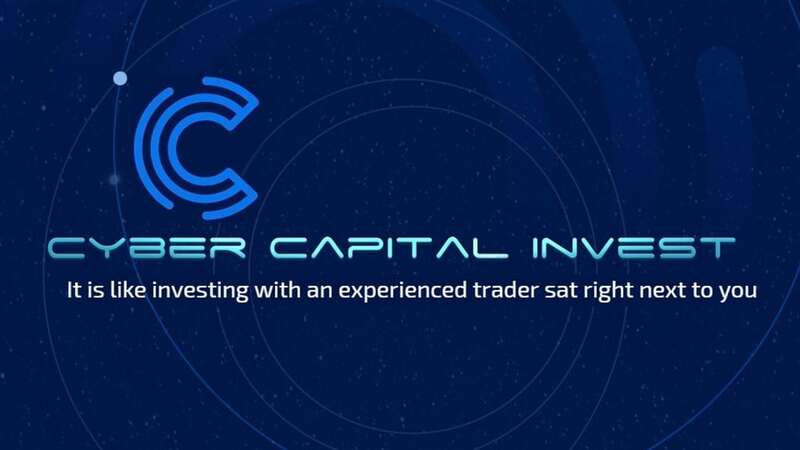 Cyber Capital Invest is the ultimate cryptocurrency trading platform that guarantees commissions and profits to its users. Your data will be stored in a secure database and will never be shared with third parties. More importantly, you will not be charged a penny to deposit or withdraw funds from the platform and you can it supports multiple cryptocurrencies and fiat currencies thereby making it convenient for investors/traders from all parts of the world.